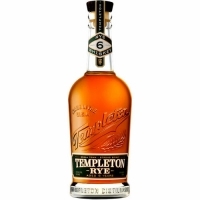 The release of Templeton Rye 6 marks their first new product in over a decade. Aged six years in new American oak barrels, this limited batch of Templeton Rye whiskey is 91. 5 proof with an unforgettable flavor. Now there's even more to love about The Good Stuff.